I drafted Magic Origins again, though as the title of the post implies it wasn’t the most interesting part of the evening. I guess I’d call this deck Green White Renowned? It was pretty much stall into bombs while hiding behind decent blockers. The 2 Foundry of the Consuls was legit too. 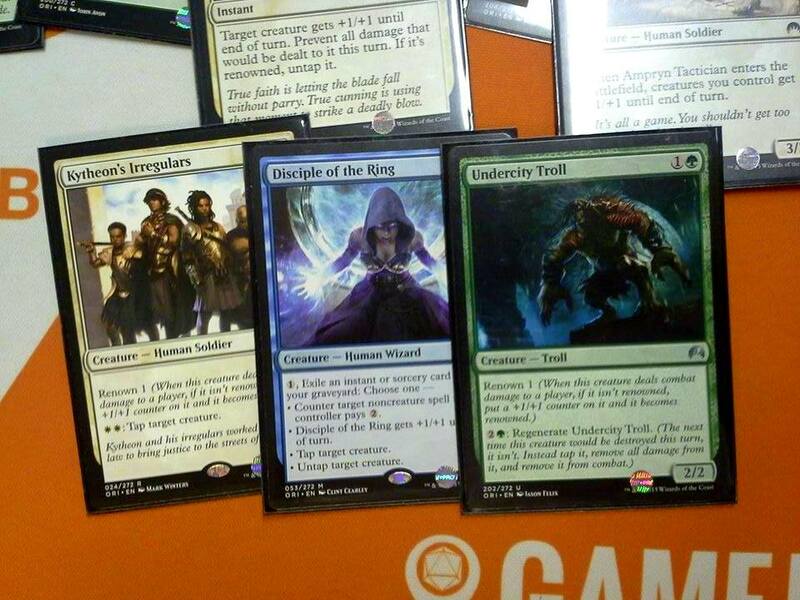 Kytheon’s Irregulars made me go white pack 1, Disciple is a mythic rare and there was nothing else good in that pack and the troll was better than Alhammarret pack 3 (in my opinion). So my opponent got mana-flooded games 1&2. I felt pretty bad for him, as he told me he had similar problems in a recent vintage tournament the day before. I sided in Yoked Ox and Guardians of Meletis to stall him. He couldn’t remove either. So I took game 1 handily and then game 2 he played Dwynen, Winnower, and Shaman of the Pack. We entered a stalemate until he killed me with Might of the Masses combined with 8 dudes. Then game 3 the same thing happened, but he opened all of his elves versus my lone Vastwood Gorger. I lost and my salt was real. Game 1 he kept a mono-colored hand and I wrecked him before he could draw a blue source. Game 2 the same thing happened to me, due to lack of white sources. Then Game 3 we had a long game that I took using Sentinel of the Eternal Watch. So I defended my record of 2-1, though I think I played as best I could and that I drafted a decent pool. So Anthousa, Setsessian Hero and Jarad, Golgari Lich Lord weren’t really doing it for me. I didn’t enjoy either of them as much as I thought I would. While I usually never take apart my decks this time I saw the greater good of making a mono-green EDH deck with one of the best commanders, Omnath. The Gravespawn Sovereign was a card I thought looked fun. So I’m taking the green from Anthousa/Jarad for Omnath. I already started converting Anthousa to a low power Theros block Standard deck. It’s going to be all flavor with minimum effort, as I just wanted to use my promo. 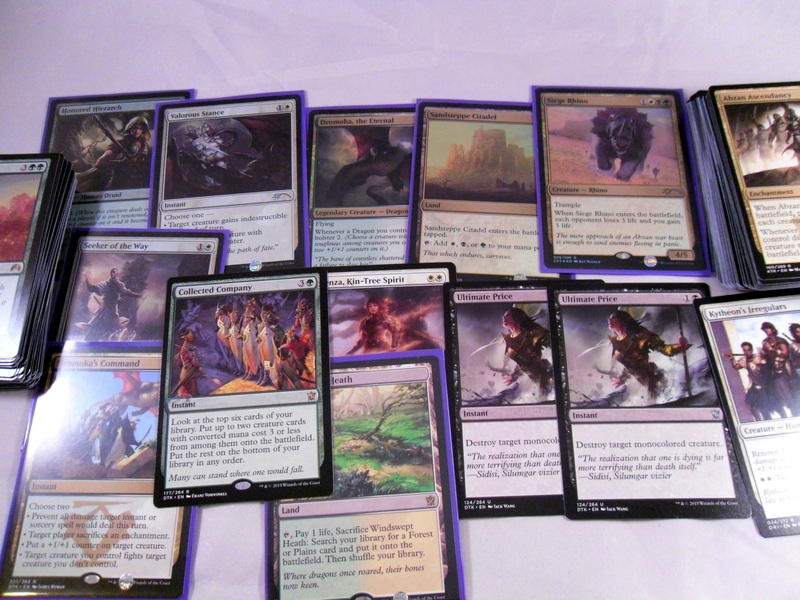 I’m not sure what I’ll do with Jarad at the moment, though his fall benefits the Varolz tiny leader deck I built too. After the draft I noticed the shop owner playing Force of Will. I asked to watch and he let me check out his cards afterward. This was the first time I had ever even read actual Force of Will cards. Proving himself even more of a cool guy, he offered to teach me how to play and let me borrow his one of his decks. So I played Mono-Red Burn (because I would) vs his Green/White Control Elves deck. It was a really cool experience since he explained all the interactions and effects to me as we played. 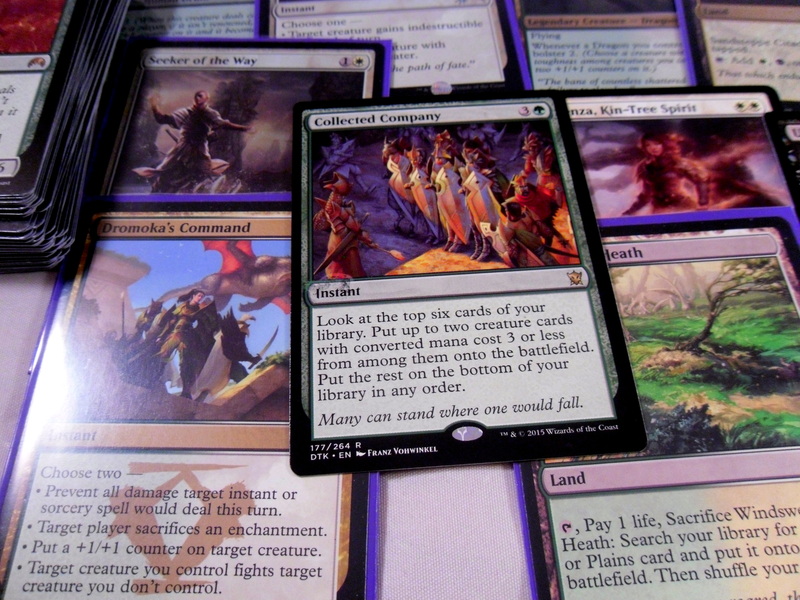 The game feels like Commander/EDH magic with very relaxed rules as to timing and card use. The art was really pretty too. I won by holding a disturbing looking Fetal Movement of the Otherworld card that burned him for 900 by exiling his graveyard, plus and extra 600 with 2 copies of a burn 300 for each special mana stone (dual land) card. I was 1 turn from dying to his commander too. Nothing makes you feel good than winning at something when you have no clue what you were doing (more a testament to his excellent coaching and decks than anything else). I completely missed Dragons of Legend 2. I didn’t realize that the set had even dropped until box openings appeared on my Youtube feed. 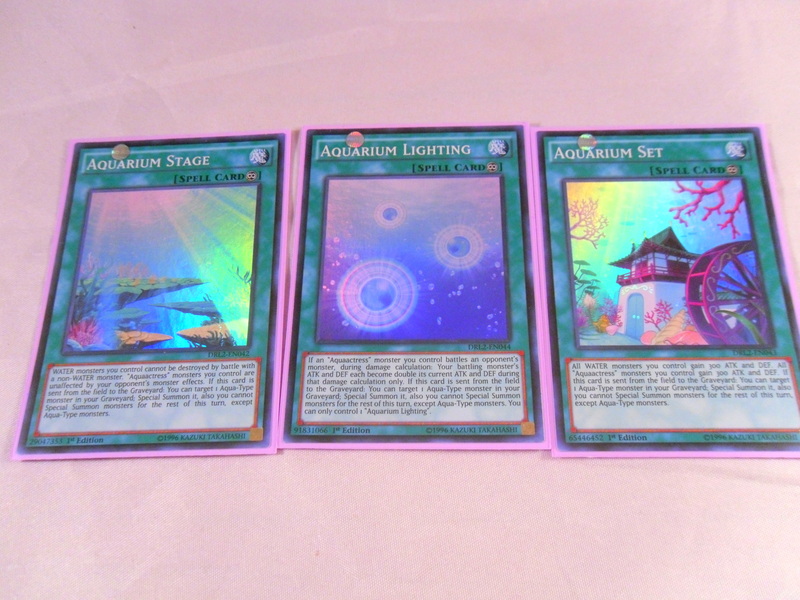 So I skimmed the set, and got really excited when I noticed 2 particular archetypes: the Aquaactress (why no space Konami?!) 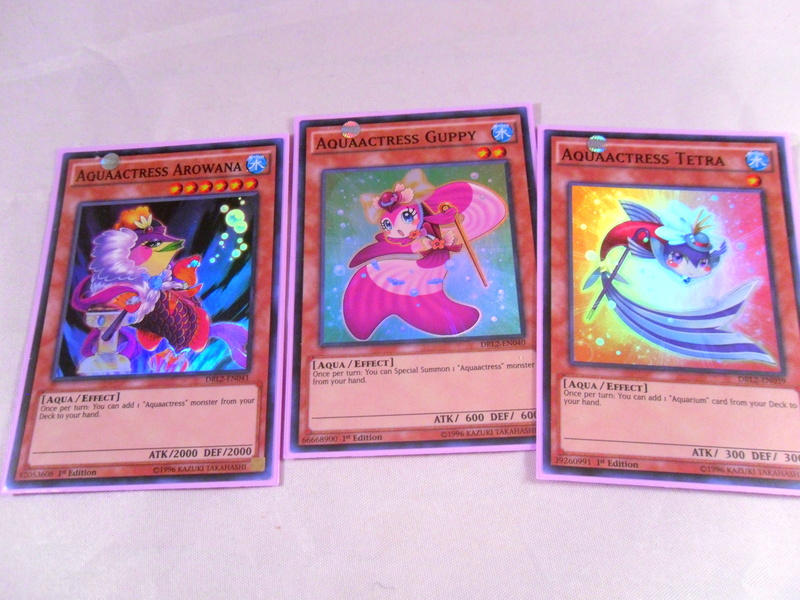 and the Prediction Princess cards. After not buying the set directly, I traded the clearly inferior Dragonlord Kolaghan (among other things) for the Aquaactress core, totalling about $7. So after playing this deck for the last few days I can somewhat describe what this deck does, what I think it can and what it might be able to do. Now without any further ado let’s start the show! Tetra adds 1 Aquarium continuous spell from your deck to your hand. Tetra is awesome. He/She (looks like a boy to me) is a reliable +1 engine to both set up your theater and generate card advantage. These are your search targets from Tetra. Stage makes it so your Water monsters can only be destroyed in battle by other Water monsters (which is why this deck has, in theory a terrible Nekroz/Mermail match-up). In addition your Aquaactress monsters become immune to your opponent’s monster effects. Set gives your Water monsters +300 Atk/Def, though Aquaactress monsters gain 600 Atk/Def instead. And lastly Lightning doubles the Atk/Def of your Aquaactress monsters when they battle an opponent’s monster during damage calculation only. So yes, Arowana’s Atk becomes 4000! In addition, when each of these Aquariums is sent to the graveyard you can Special Summon 1 “Aqua” monster from your Graveyard to the field. I really like the ability of the spell cards to “float” into your dead monsters. It provides great utility to them since the opponent will usually have to pop them first to deal with your Actresses. 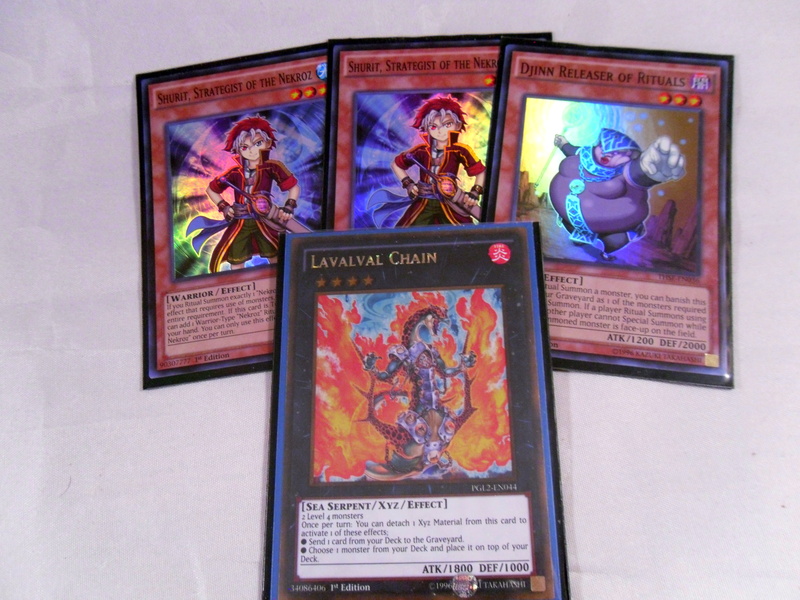 So imagine if you could fuse Breakthrough Skill, Divine Dragon Knight Felgrand and Darkworld Shackles into 1 card. Well this trap here is fairly close to that. 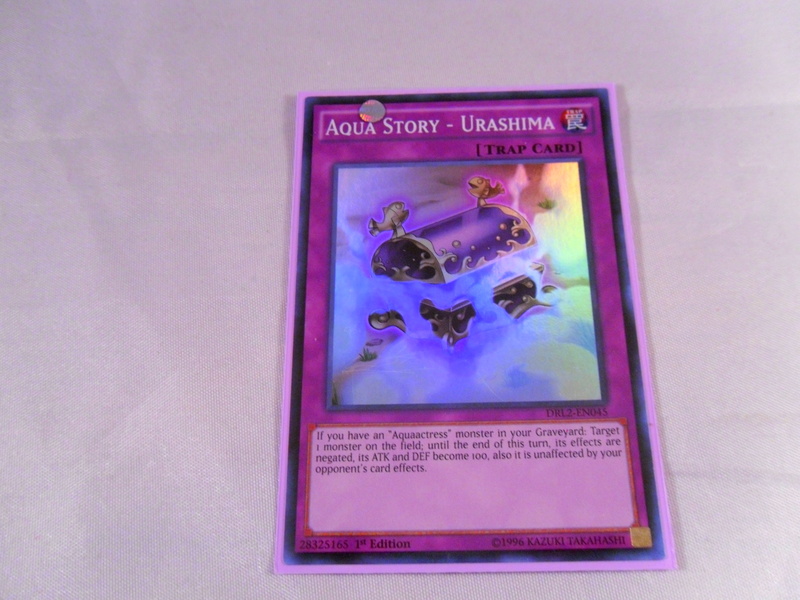 Aqua Story – Urashima is a really interesting card. If provides alot of utility, but in order to function you need an Aquaactress in your graveyard, which is very difficult in the early game. 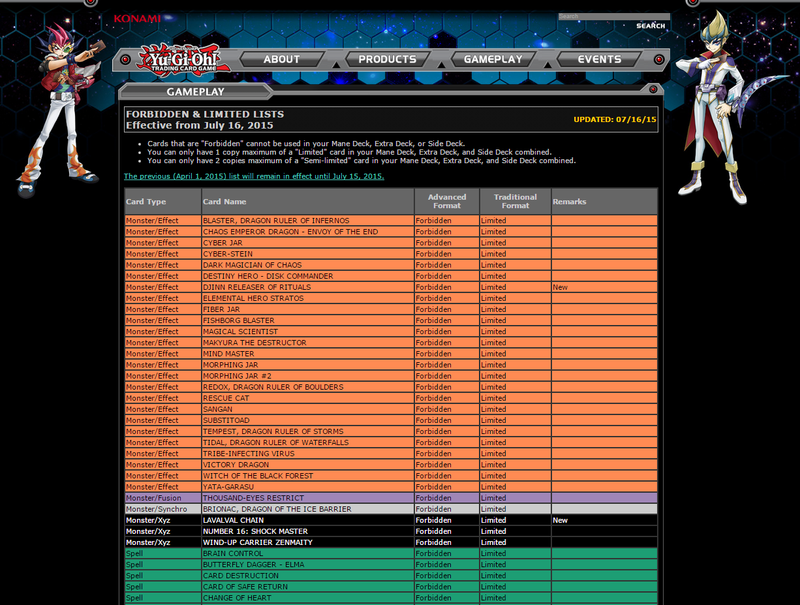 Worse yet it clogs your S/T zone and isn’t searchable by any means. Now that sounds all well and good, but obviously this game plan is very easy to disrupt and inherently slow. 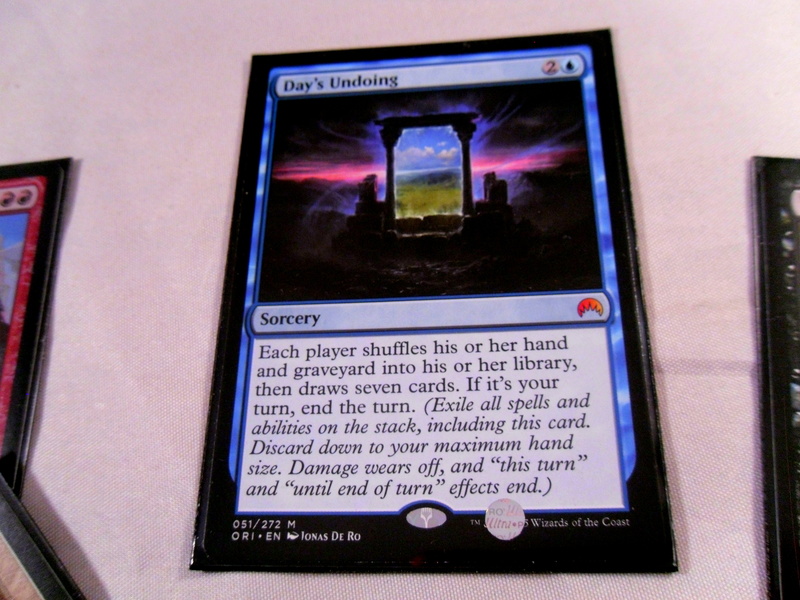 This is what made me try building a stun deck using this tiny core as a base. I do not argue for a second that is a correct or optimized build. If fact after playing it against a surprisingly wide array of decks I can already see certain flaws to the deck and where to improve it. However, it’s the fact that this junk deck can harass actually good decks that makes me want to improve it (for the time being). I main-decked 1 Gozen Match and 1 Rivalry of Warlords. 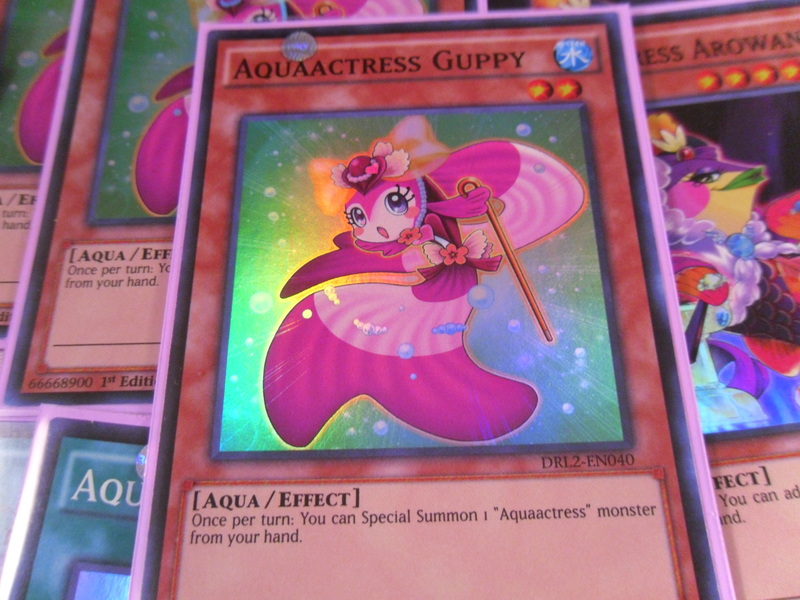 All of the Aquaactresses are Water type Aqua monsters meaning neither card hurts the deck. Despite being insanely old, both of these cards have certain match-ups where they can pretty much lock the opponent out of the game by themselves. Testudo Erat Numen and Numen Erat Testudo, so I had never hurt of this dreaded turtle lock until last week when I ordered the cards. They are very awkward to play and usually Numen (the lv 5) was dead in my hand. Testudo on the other hand once in-play in defense was great in preventing my opponents from extra deck summoning, which hurt every deck (but tribute stun). My heart loves these cards, my head stays they’re too cloggy. Despite bricking this was pretty terrible match-up since Harpies Hunting Ground destroyed the Aquariums before I could set up the graveyard. I bricked game 1 (please notice a theme here) and lost. Then Game 2 I almost decked my opponent out before managing to take out their last 800 life with a 2400 point Guppy attack. Game 3 my opponent was able to summon Abyss Dweller and Black Rose to shut down the Aquariums so I lost. Up until this point I was running 3 of each Aquarium. After battling Geargia I switched to 3 Lighting, 2 Set and 2 Stage (the current ratio pictured). Arowana with 4000 atk proved too much for the Ghostricks game 1, while Numen flooded-gated (that’s totally a word) them out game 2. Game 1 I flipped Gozen Match turn 1. Game 2 it was Rivalry turn 1. This was a long match. The recall bricking and getting Trished the games I lost, but of course flipping the appropriate floodgates to win the other games. So in theory Rivalry of Warlords should destroy Ritual Beasts. However, my opponent bricked and couldn’t draw/search a Steeds to save his life. Arowana gave a smackdown on Ulti-Apelio in the meantime. I would like to point out that my opponent had to Breakthough Skill Numen Erat Testudo 4 turns in a row in order to play. Grind game of grind games, also my first realization that this deck really needs 3 copies of Monarch Stormforth. Any Yugioh deck with tribute monsters in general can probably run this card. Literally the fact my opponent had 3 copies of it to my 1 was a huge advantage. Though the 2nd realization from this match-up was that my aquarium ratio was sub-optimal (bad). Aquarium Stage was pretty much the only reason I didn’t get killed in every game in this match and more. So why on Earth was I running 2 of it versus 3 copies of Lighting which is limited to to 1 on field? Yeah Stage to 3, Lighting to 2 is probably the first change I’ll make. I bricked and this opponent got Steeds. It would be Yang Zing that could out-grind Rivalry, Gozen Match and Testudo Erat Numen. It was probably a goof on my part to try to win by deck out though, but it was late and I was tired. There are 2 reasons that this deck probably won’t ever be competitive. One, it bricks every easy, obviously I can (and should) try to fix this by jamming in triple Upstart Goblin and Triple Pot of Duality, but the fact is you can always open 3 Aquariums and 2 traps. 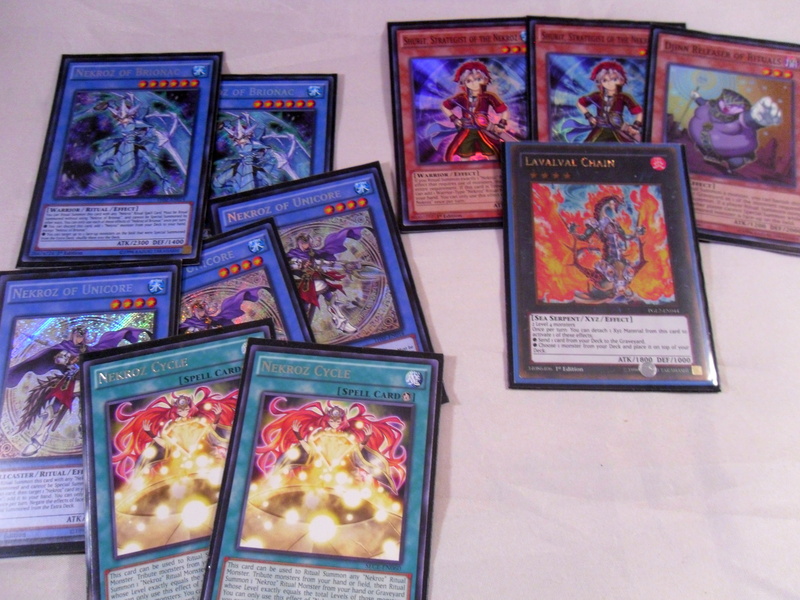 Second, this deck is very tame, which is where I think Konami did a good job, perhaps too good in power balancing it. Quite frankly if they wanted this deck to be broken all they had to do was make each Actress lv 4 and give them 1500 Atk. 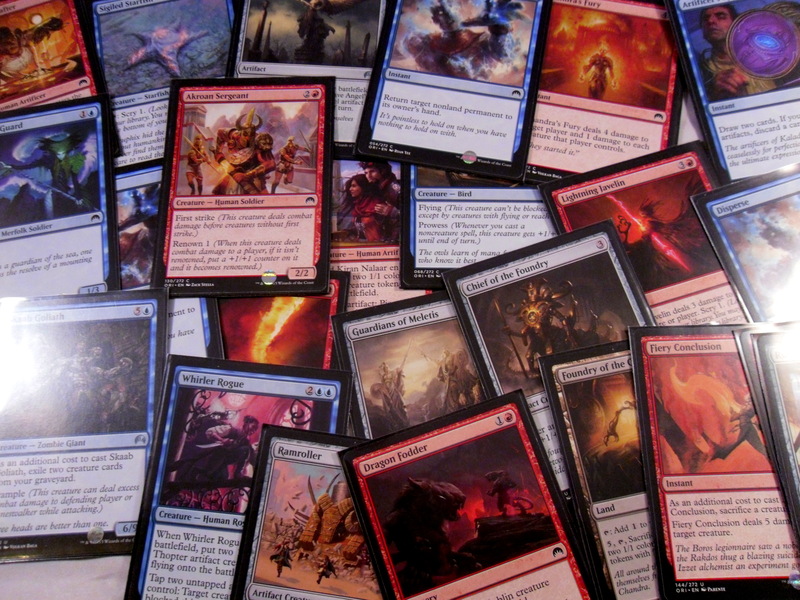 Also setting up in this deck can take 1-2 turns, which is just too slow for this format. The look on the opponent’s face when they can’t get over a Guppy is worth every penny. I made this deck to troll and I plan to evolve it to troll. Realistically, I’ll probably get bored of it in 2-3 weeks, but in the meantime here are some ideas for it. Monarch Stormforth x3: I was begging to draw this +Arowana literally every game. Wetlands x2, Terraforming x1-2: My friends and I discussed a lot of Atk boosting cards for the deck, but Wetlands was the only one to really catch my attention. Guppy’s Atk under Wetlands becomes 1800, which then under Lighting is 3600! Guppy can then give a smackdown to Blue Eyes White Dragon and all of his dragon friends. Also Wetlands by itself totally invalidates Aquarium Set, which I was already on the fence about due to its low impact on the board. Parallel Twister x2-3: I’m already running this at 3. I just wanted to say that combo-wise this card was the best card in the deck. It destroys an opponent’s card and revives one of your Aqua monsters (if you’re set up and have space). More realistically though it clears up space in S/T zone, which as you might’ve guessed can clog very easily. I’m going to cut Call of the Haunted for just that reason. Phoenix Wing Wind Blast x1-2: You get a lot of dead Aquariums in your hand playing this deck, so this might be a good way to use them. So anyway those are my thoughts on Aquaactress. The deck is very balanced, cute and has a lot of room for innovation. As of right now I’ve spent less than $20 on this deck and I already love it. I can’t say this will ever get more support or become meta, but if you’re looking for a cheap troll deck, then look no further. 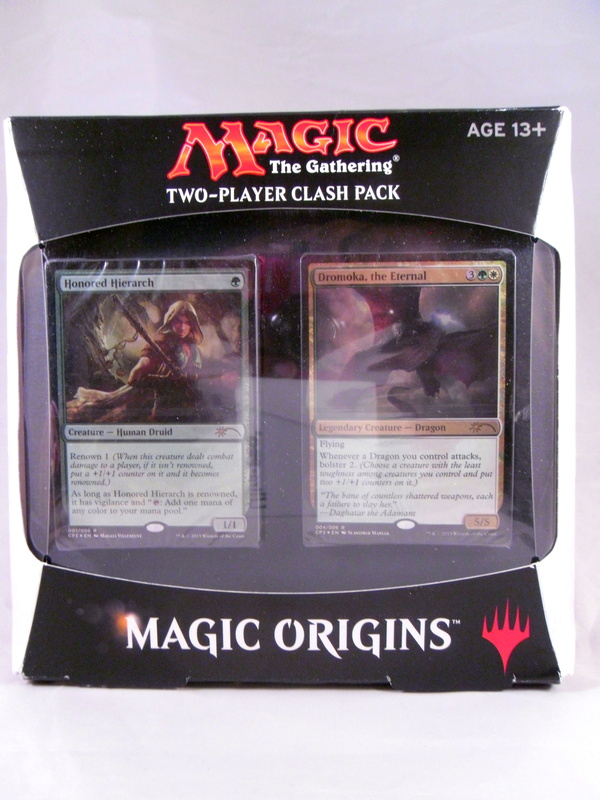 Upon first spotting the decklist for the most recent Magic the Gathering Clash Pack, I pre-ordered the set immediately. 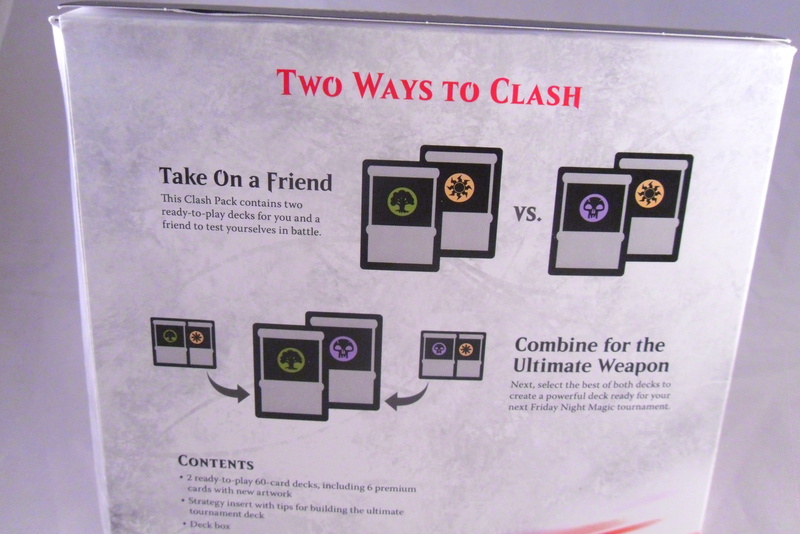 The basic premise for the clash packs seems to be to play the two miniature decks against each other before combining them together to make a better deck. I think the real goal of the clash pack though is to make it easier for new players to start building meta decks though. I recall the Clash Pack from last year had Courser of Kruphix, Hero’s Downfall and Whip of Erebos, all of which were played in then viable Sultai whip deck. And its no surprise that this year we get an Abzan clash pack, while some version of Abzan has remained dominant in Standard for months. 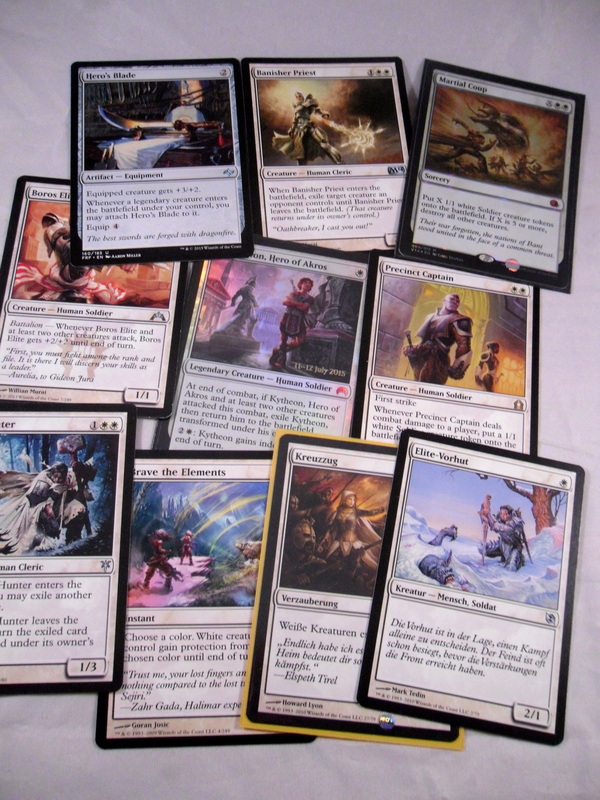 You could actually build a fairly decent Abzan deck in Standard by fusing 4 of these Clash Packs together. 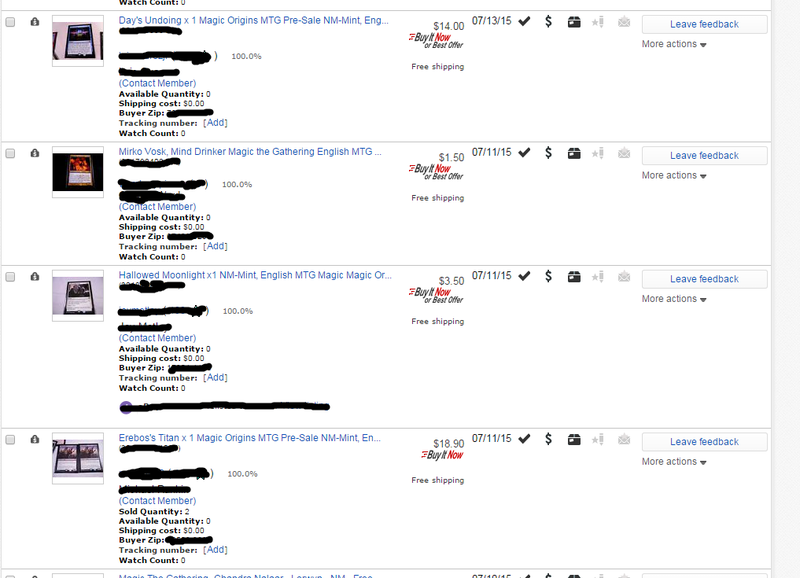 I’m not sure if doing this is a wise idea/investment, but you’d have a somewhat meta deck for only $100-$120. To be honest, I got this deck primarily for the Collected Company reprint. 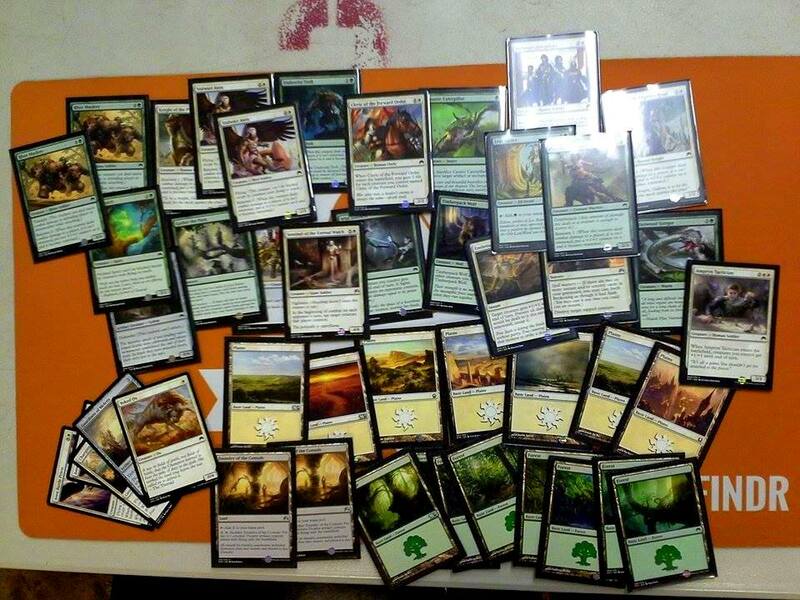 Over the last few weeks I’ve put more effort into building Modern Elves than any other deck. Well 2 things happened. 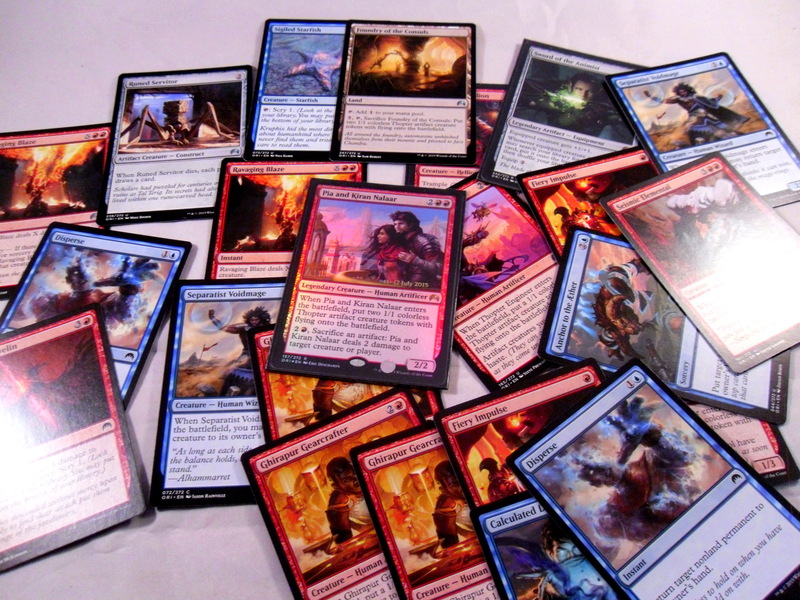 One, I realized that Theros and M15 will rotate soon leaving my much beloved Stoke the Flames unplayable. The 2nd issue was realizing that Goblin Piledriver will inevitably replace Goblin Rabblemaster as “that one really good red card that I’m always too cheap to buy” (See also Eidolon of the Great Revel). 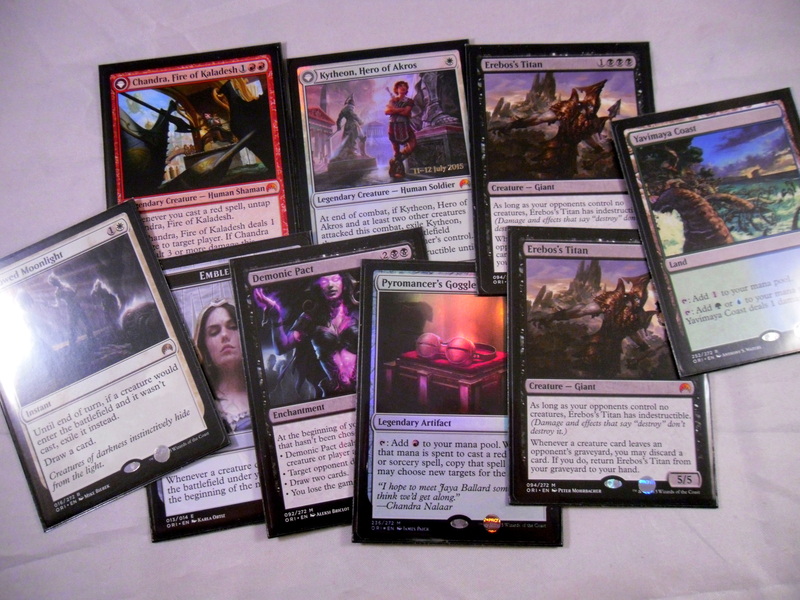 However, what’s been drawing me to Modern is the strong desire for a deck I can count on forever. In Standard you have to keep adjusting your deck only to watch the cards you come to love rotate out. A Modern deck is definitely more expensive in the short run, but if you compare it to building to the top meta deck in Standard consistently I can only wonder how much the price difference really is. With this Clash Pack I have a set of Collected Company (CoCo), which I’m proud to add to my Elf deck. Does this mean I’ve given up on Standard? Not completely, I’m very interested in the potential of having eight 4 damage burn spells in the format with the addition of Exquisite Flamecraft. I’m planning to tinker with some kind of Mid-range Red Burn deck for Origins Game Day, but it’s pretty much at the back of my mind right now. Anyway, I’m not saying to stop playing Standard or to start playing Modern. I’m just feeling that I’m finally willing to put a little bit of time, effort and money into building another competitive deck (See Nekroz). 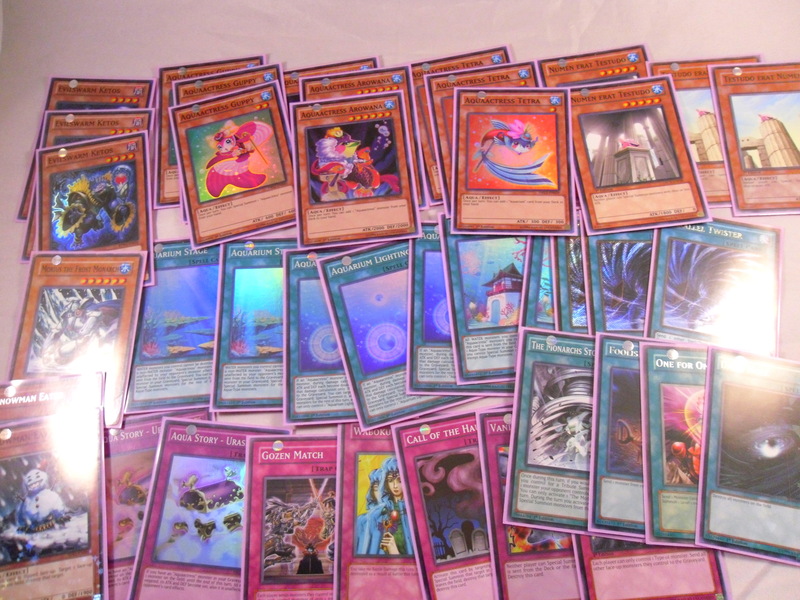 Also my feelings in regard to Yugioh have also totally changed, but that’s a topic for another post. 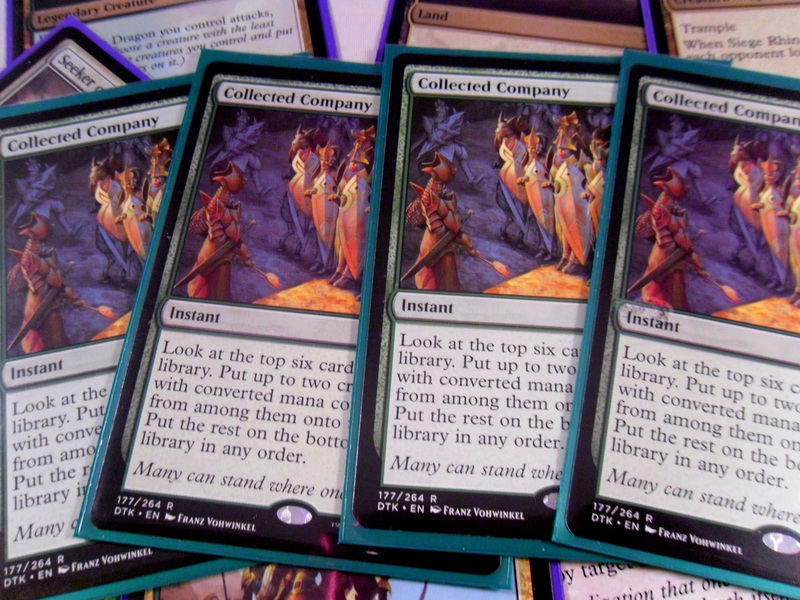 In Thopters we trust, Magic Origins draft stolen by Pia and Kiran Nalaar! That last part might be a give away, but let’s get started. I really like Red/White in limited. White is the strongest color by far in Origins (I hate-drafted Sentinel of the Eternal Watch in fear of its power). Though I chose to play blue for Whirler Rogue. Anyway my opponent dropped Topan Freeblade on turn 2 both games. However, each game it was perpetually walled off by Guardians of Meletis game 1, and then game 2 by Sigled Starfish. Both of these were the match MVPs, especially the Scryfish which came down turn 2 to fix my draws for the entire game. My opponent was a really nice guy. We both drafted next to a guy who opened Jace, Kytheon and Archangel of Tithes. In addition to sharing mutual jealously and salt, we knew each other’s decks pretty well (though knowledge that he had beaten the guy who opened all of those Mythics made me quite happy). If all that wasn’t enough, he even main-boarded Demonic Pact, which makes him a bro by default. So Pia and Kiran came down every game, but this round I had the opportunity to Disperse them to get even more Thopter tokens. Game 1 I took by swinging wide after Chief of the Foundry made the thopters too big to block. Game 2 we entered a boardstall until I started swinging with 4 boosted thopters alongside a Ringwarden Owl. He had a Revenant to block with, but none of his other creatures died to get it larger than a 3/3. My opponent and I split the prize and played for fun. He was one of the regular veterans so I’m not if I could beat him if we played seriously. We raced 2 games in a row and I outpaced him both times. Pia and Kiran Nalaar was the MVP of the night. Each game I won by just swinging in the air with thopters. Ghirapur Gearcrafter was also useful, though at 3 mana Thopter Engineer is just a better card (though I was very happy with my 2 Gearcrafter commons!). The point of this post is pretty much to push playing Thopters in limited. They’re a lot of fun and they do wonders when paired with cards like Fiery Conclusion. I’m really happy to blog about winning for a change. Hopefully, this will either continue or I’ll get out while I’m ahead and wait for Battle for Zendikar to come out in the fall. I’m focusing on some new decks at the moment, but that will have to wait for a later post. Djinn banned: This is fine. Everyone has wanted Djinn gone (me included) for ages now. Shurit to 1: Ok this was one of the ideas I had to hit Nekroz that I thought was too dumb to actually discuss. This is actually a good hit to hurt the deck since you only get 2 “free” ritual summons now (Once from a any Nekroz ritual spell, and a second time off Nekroz Mirror banishing Shurit). I look forward to if this actually hurts the deck. These are all the things they could’ve hit instead/also..
Atlantean Dragoons to 2: Get ready for that new Mermail support. Soon the nightmare will begin again, but actually when this card comes it out, it’s going to be very strong. Dragon Ravine to 2: With the Dragon Rulers gone this card is no longer a danger. Bulb is once per duel, nuff said. Sacred Sword is fine with no dragon rulers. All of the other cards were errata’d to the point that they will never see play. 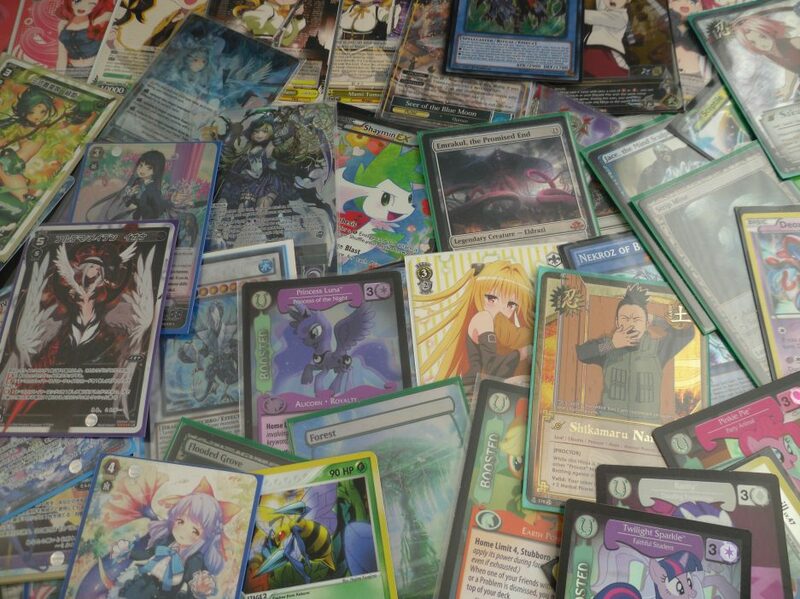 I will graciously keep my triple Unicore and remove these 4 cards from my deck. 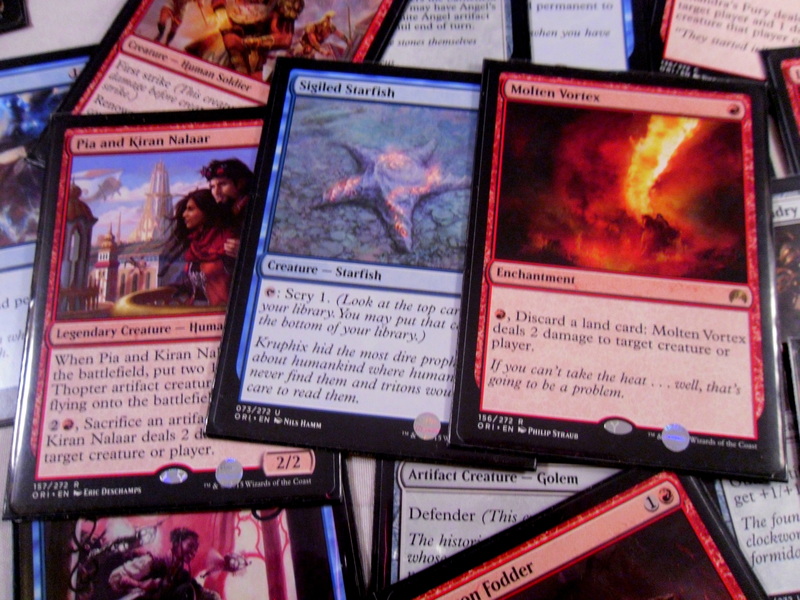 I don’t know if this minimalist approach to the ban list will save the game, but if any of the Konami executives had Trishulas to sell when the list first dropped, then trust me they’ll be ok.
Let it be known to the masses that starting an EDH game at 9:30 PM (or later for that matter) IS A TERRIBLE IDEA (at least on Sunday night). So 1 loss took us out of the relevant prize pool, however we didn’t give up! We played against the team we drafted next to. We knew each other’s decks fully, (including that their “secret weapons” were Languish and Demonic Pact). The real threat however was a turn 3 Managorger Hydra that got to be Dispersed twice and then ultimately sacked to the Fleshbag Marauder (MVP of the whole day). My partner won us the match by casting Cruel Revival opening the way for Outland Colossus (a.k.a. if it’s Renowned you’re Dead) to swing in. Their Demonic Pact didn’t go off once. We played a very long grind game round 3. The opponents used a few bombs like Vastwood Gorger and Patron of the Valiant, but we had the answers with Disperse, Cruel Revival and a consistent army of flying damage thanks to the common Thopter. We took the game handily. For all of this we won 2 packs, but it was a really fun experience playing a new format especially building 2 new decks on the spot. I have made 2 Mono-Red Tiny Leaders decks, one filled with burn spells and 1 filled with cheap creatures. I’m pretty sure either Jaya, Ballard or Chandra can be the commander of both decks at will. The 3rd deck is my first attempt at “White Weenies” also in Tiny Leaders with Kytheon as the commander. The last deck is an update to my old Ensoul Artifact deck as I’ve finally found a friend who wants to play casual Legacy (i.e. his old cards vs mine). Darn that’s small, but yeah this ebay picture is to illustrate that you can get a lot of money selling during pre-release hype. 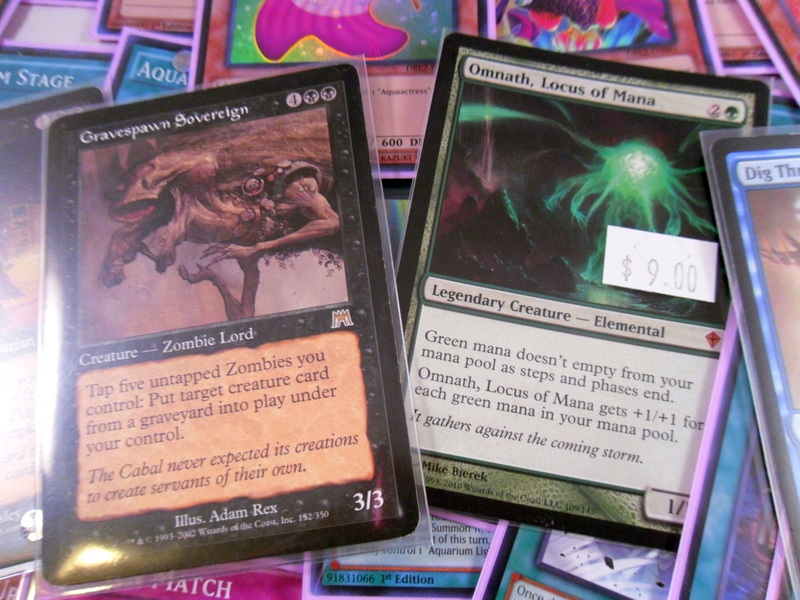 I sold the 2 Erebo’s Titans for $18 (as shown), the Pyromancer’s Goggles for $15, and the Day’s Undoing for $14. After Ebay fees, I spent roughly about $25 for these Pre-Releases. Admittedly, my box the first time was borken, but this just means a that 6 Mythic box actually exists. I just got back from the Magic Origins midnight pre-release. As the title implies I opened some great cards. I have never gotten so many good pulls in one sitting. I’ve been building this up too much so here was my rare pool. 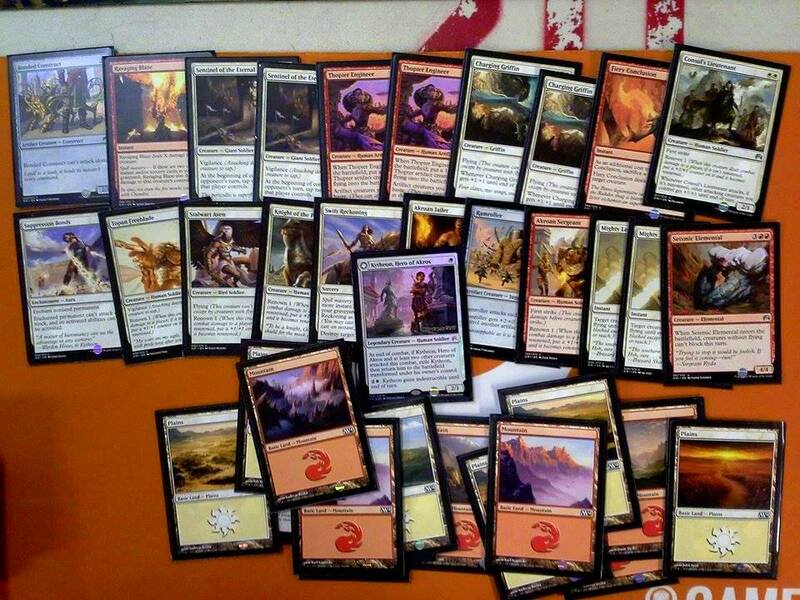 I played Red/White Midrange, the end of my curb was the Sentinel of the Eternal Watch. The MVP of the day though were the 2 copies of Thopter Engineer, which came in clutch every game. I could tell my opponent was a new player as he used his Sigiled Starfish at Sorcery speed. We went into turns, but the Sentinel combined with Ravaging Blaze won me the game on turn 5 of turns. I lost game 1 due to a greedy hand (2 lands and Kytheon). Game 2 I outpaced him and soon got him to 5 life with Thopters at the ready. Game 3 we had an amazing back and forth, but I won with Gideon. My opponent was an awesome player. My heart was racing after this match for a good hour (it was somewhat scary). I got blown out game 1 by Act of Treason, then game 2 to the 7/7 artifact creature that deals 7 when attacking. 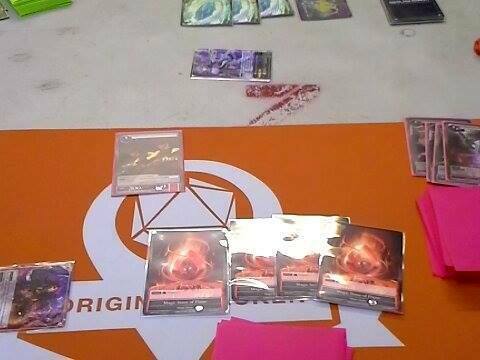 I was exhausted Round 4, so I split with my opponent to win 2 packs. B) Build a Mono-White Tiny Leaders Deck for Kytheon (because I build a new deck every set and this just feels like fate). 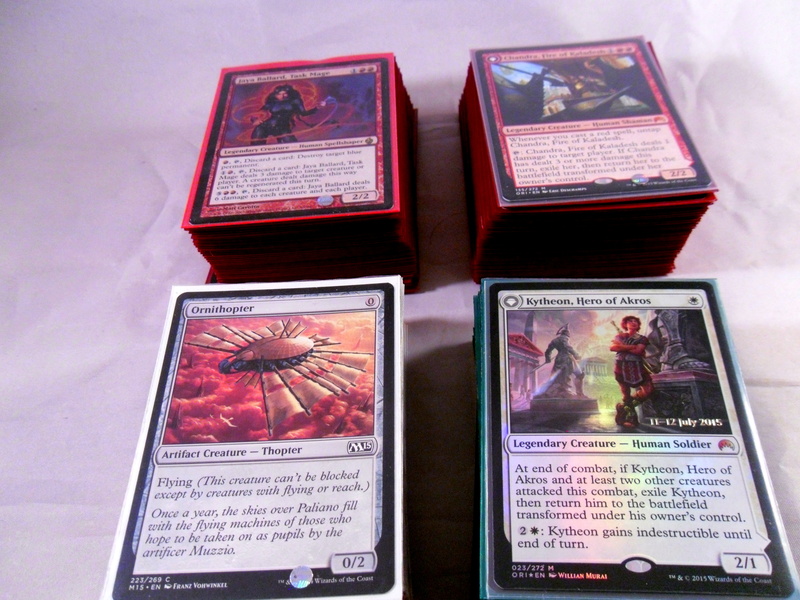 Chandra will go to either my Red Tiny Leaders deck or my Standard deck (maybe…). This is what I found after looting my binder, though I’ll most likely use the pieces from the new clash pack 2016 I pre-ordered to build it. I sincerely hope someone somewhere also got this many mythics and in turn did better than me. Also everyone sell while the hype prices are up, I’m totally serious. That’s really the only advice I can give you. Anyway, I’m going to start to ramble if i don’t stop now. Thanks for reading.